When it comes to divorce, many common beliefs are accepted as truths. However, the process of divorce is incredibly complex and every case is unique. Mom always gets custody: In Pennsylvania, the law does not favor either parent for custody. The judge is required to look at what is in the child’s best interest. Only women get alimony: Historically, women have been awarded spousal support or alimony more often than men. As more women enter the workplace and change gender roles, it is becoming more common for men to receive some form of alimony. Alimony is generally awarded to the lower earning spouse when there is a significant disparity in incomes. I don’t need a divorce lawyer: Even if you are on good enough terms with your spouse going into the divorce, you need to make sure you have someone in your corner who is going to ensure your rights are protected. 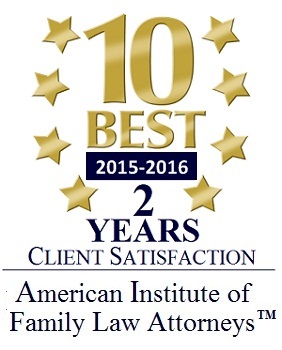 Spivak Law Firm handles all areas of family law, including: divorce, child custody, child support, and PFA hearings. To speak with an experienced family law attorney, call Spivak Law Firm at (412) 344-4900 or toll free at (800) 545-9390. This entry was posted in Family Law and tagged Allegheny County Child Custody Lawyers, Allegheny County Divorce Lawyer, Allegheny County Family Law Firm, Best Child Custody Lawyers in Pittsburgh, Best Pgh Custody Lawyer, Best Pgh Divorce Lawyer, Best Pgh PFA Lawyer, Bethel Park Custody Lawyer, Bethel Park Divorce Lawyer, Bridgeville Divorce Lawyers, Brookline Child Custody Lawyers, Brookline Divorce Lawyer, Divorce Attorney Pgh PA, Dormont Divorce Lawyer, Greentree Divorce Lawyer, Mt. Lebanon Custody Lawyer, Mt. Lebanon Divorce Lawyer, Pgh Divorce Lawyer, Pgh PFA Lawyer, Pittsburgh Child Custody Lawyers, Pittsburgh Custody Lawyers, Pittsburgh Divorce Attorneys, Pittsburgh Divorce Lawyer, Pittsburgh Family Law, Pittsburgh PFA Lawyer, South Hills Divorce Lawyer, South Hills Family Law Firm, South Park Divorce Lawyer, Spivak Law Firm, Squirrel Hill Custody Lawyer, Squirrel Hill Divorce Lawyer. Bookmark the permalink.